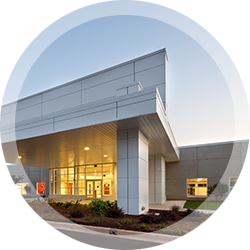 From a healthcare facility that inspires healing, to an educational facility that encourages learning and collaboration, or a production plant that promotes a healthy workplace, we balance functionality and efficiency with innovative and forward thinking design. We excel at tackling the challenge of incorporating beauty into the facilities that touch the everyday lives of people around the world—creating functional, safe, and aesthetically pleasing spaces in unexpected places. 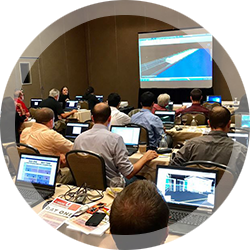 SSOE takes a collaborative approach to design, working with clients to understand their vision, and make it a reality through in-depth programming, unique design solutions, flexibility, and sustainability. We specialize in delivering complicated, high-stakes projects—earning top rankings in multiple industries and national ACEC awards for our work. Our staff of highly skilled and knowledgeable professionals spans all engineering disciplines—making SSOE the full-service engineering resource of choice for some of the world’s most successful companies. Our solutions start with your business goals in mind, and focus on delivering a project, and an experience, that will be the start of a long-term relationship. We’re constantly pushing ourselves toward a better, faster, less costly way—using processes inspired by Lean production strategies and use of innovative technology. Our guiding philosophy is always to fulfill our mission: to make clients successful by saving them time, trouble, and money. As design and construction becomes a more integrated process, having construction management oversight that is working collaboratively with your design team becomes a significant advantage—transforming a siloed and sequential process into one where design benefits from the input of construction and work can be phased to begin while design proceeds. Rather than having constructability and budgetary reviews at design milestones, construction experts will be in the room with your design team ensuring these elements are built into the initial design. Our team is ready to handle every phase of your construction project—from risk management, feasibility studies, estimating, safety, field supervision, project controls, and construction management to commissioning. We’ve provided construction management services to projects as large as Volkswagen’s $1 billion assembly plant, and are also positioned to provide full EPC delivery on smaller projects. Project management is the key to making sure your project is successful and your experience exceeds your expectations. As a full-service firm, SSOE can handle the most complex projects in-house—start to finish—without potentially disruptive handoffs between different resources. Your project manager will start your project with a collaborative kickoff meeting to ensure the whole team has a shared vision of success. This allows the design team to make the best decisions based on your business goals rather than simply doing what they’re told to do. Your PM will make sure you know what is coming, what input is needed, and provide early warning if they see things potentially veering off track. 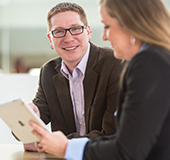 Many of our project managers have achieved PMP certification, bringing best practices for leading project teams and delivering results to every project. Our PMs are expected to document savings ideas as the team develops them, creating an environment where we are always looking for better ways to do things. This is the heart of our mission to save clients time, trouble, and money through condensed schedules, total cost savings, and better outcomes. When we apply our project management services to a client’s multiple projects—their “program”—we’re able to provide direction and leadership to tie each project to support your overall goals. We have documented results validating that the longer and more frequently we work with a client, the more value we provide. 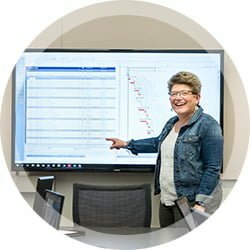 This is based not only on our ability to develop efficiencies, but also to understand what is driving your business and helping to translate your business objectives into the best project decisions. The key behind SSOE’s program management services is our world-class staff and global resources who can handle your projects anywhere in the world. 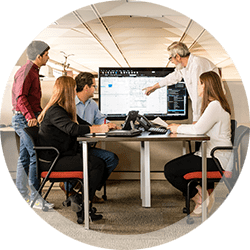 They’ll leverage the latest technology to ensure enhanced collaboration and innovative solutions—ultimately leading to a successful program with faster delivery, lower costs, and higher quality. 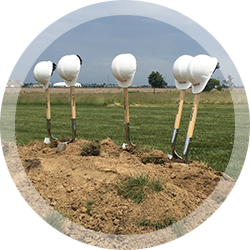 SSOE begins every site selection by building a relationship with the client to develop a strong understanding of their business and what they have planned for the future site—down to the details. That puts us in a position to determine the “must haves” and “nice-to-haves” of a site. We then pair that with our extensive network of relationships with state and local governments and knowledge of available sites throughout the world. Our experts take a holistic view to each site evaluation, looking at the labor market, environmental considerations, access to transportation, access to utilities, soil conditions, amount of cut and fill required, air quality, various codes, and permit (federal, state, and local) requirements. 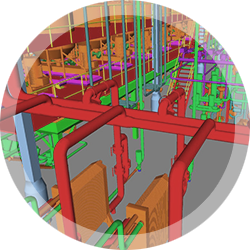 Our experience in designing and overseeing construction provides valuable insights—uncovering unforeseen issues with sites for specific types of facilities. 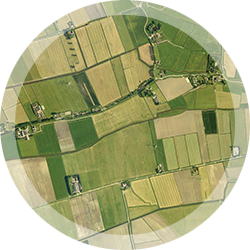 We’re especially adept at guiding clients in selecting sites outside their country of origin. 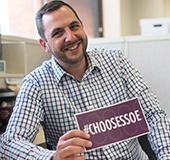 No matter where you plan to locate, the only bias SSOE has is towards its client’s best interests. Master planning is the first step to sustainable solutions. Our team of experts handles everything from single sites to multiple, complex global sites. They consider a broad range of factors—including trend forecasting, market data, and facility and site assessments, community considerations, access, and sustainability plans and energy audits. SSOE’s master planning services are based on a collaborative process of gathering input from all the relevant stakeholders and will give you a reliable roadmap for smart facility decisions. 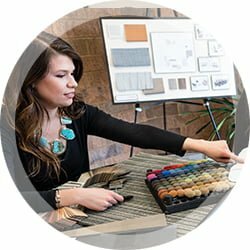 Our interior designers create environments with lasting appeal—addressing not only beauty, but purpose. 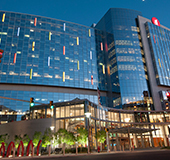 They create healing spaces in hospitals, learning-conducive student areas in educational facilities, collaborative workspaces, and welcoming common areas in corporate headquarters and large-scale industrial facilities. A creative usage of space, materials, and features ensure facilities fulfill their mission. It is our designer’s listening skills, attention to detail, and integration with our other design disciplines that distinguishes SSOE from other design firms. 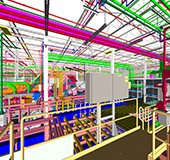 At SSOE, all data, fire detection / notification, and security systems design are provided in-house—ensuring safety and connectivity are integrated into every facility design rather than added as an afterthought. We take into consideration current requirements, but also allow for future needs of the facility. The close integration of our DFS group with our other disciplines ensure that you will have not only compliant systems—but facilities with technology and security incorporated seamlessly into your building. Acting as a single-source designer not only saves you time and trouble, but reduces your overall project construction cost. 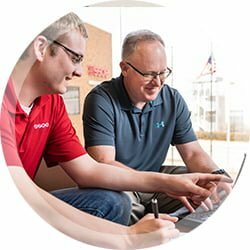 Our certified NICET and RCDD designers are experienced and keep up to date on every aspect of security, access control, intrusion detection, video surveillance, wireless networks, audio / visual systems, communications, fire alarm, mass notification, and other low-voltage system technologies—from design to installation. We are independent of any equipment supplier, recommending the best equipment for your needs without bias. 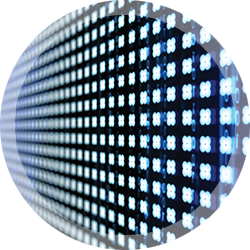 We can assist with system upgrades, modifications, or additions to systems others view as proprietary. Given our experience with a wide range of systems and advanced technology, we are able to integrate multiple systems for unified functionality and quicker response time. Sometimes the right buy results in short-term savings or schedule compression. Other times it may result in long-term operational savings or reduced downtime for maintenance. Integrating procurement with design at the beginning of a project provides better design and specification decisions, control of spending, and prevents delays to critical milestones. Close collaboration ensures alternative materials and equipment can be quickly considered when it addresses the same functional need and offers cost or time savings. From start to finish your project will be managed to optimize communication, involve fewer hand-offs, and stay focused on your objectives. SSOE’s approach to procurement encompasses all aspects of the process: understanding business and operational goals, determining a procurement strategy, packaging the work, prequalifying resources, administering the tendering process, awarding contracts, contract administration, and contract close out.